Mission: "Every child has a dream. 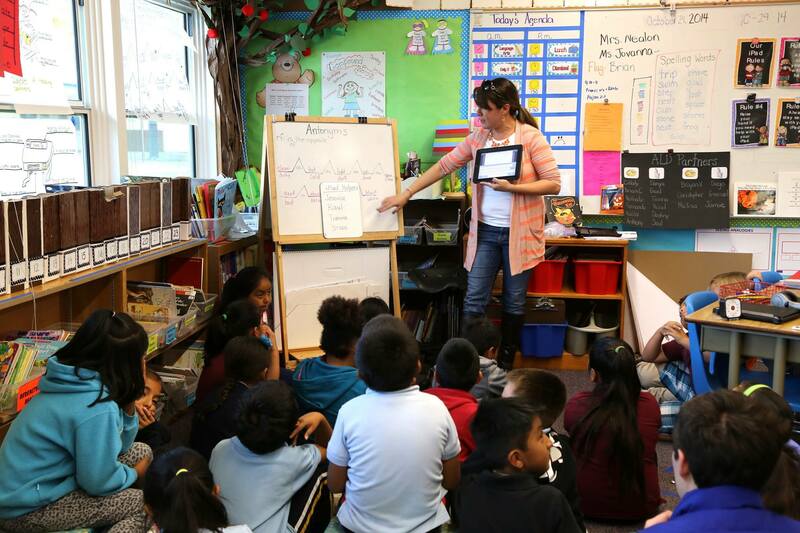 Petaluma Educational Foundation creates community partnerships to fulfill these dreams. We believe in them. We empower them. We invest in their future." The Annual PEF Partners for Education program began in 2012 as part of PEF’s 30th Anniversary Celebration. Our partners that first year included Petaluma Market, Clover Sonoma and Wells Fargo. In 2013, we have added a new partner, Petaluma Health Care District, to the program. We are proud to celebrate all of our annual Partners for Education who through their financial commitment to PEF positively impact our local teachers and students every day of the year! The benefits of securing a financial partnership at this level provides your company with the opportunity to showcase your brand to your target market as well as tap into the audience of PEF supporters. Through prominent logo placement on promotional materials, highlighted at all PEF community sponsored events (The BASH, PEF Scholarship Reception, etc.) and inclusion in various customized programs, you will be in direct contact with current and potential clients, as well as build business and community awareness about your organization’s commitment to supporting local education. The annual program carries the same sponsorship cash value of $30,000 and provides a template of benefits which can vary, enabling us to address all your individual business needs. 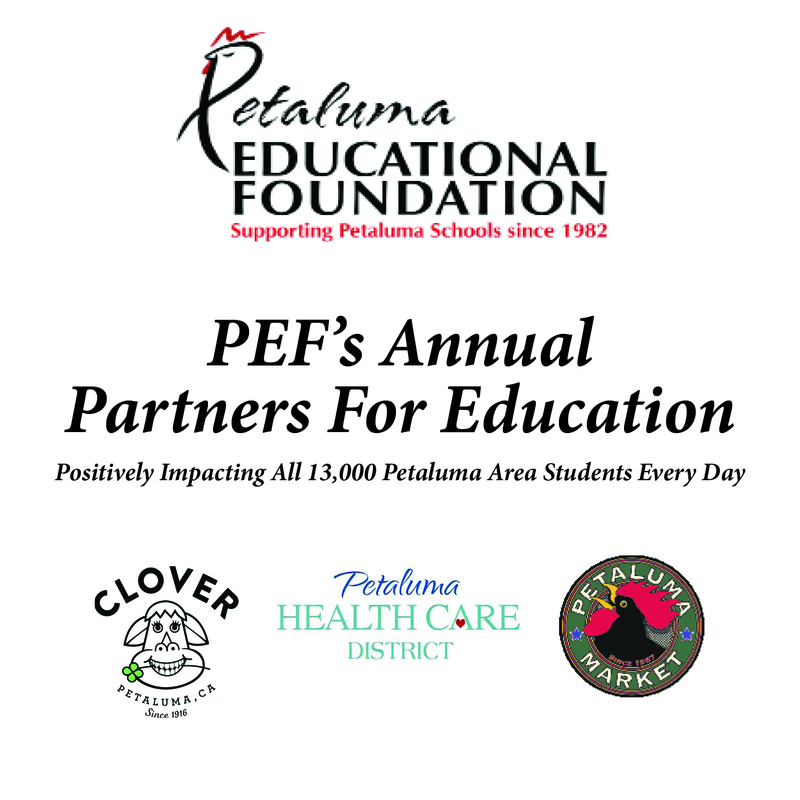 The PEF Partner for Education agreement is valid for one year (12 months) beginning on July 1 – June 30. Please contact Executive Director, Maureen Highland for further information or to set-up a customized presentation for your business. 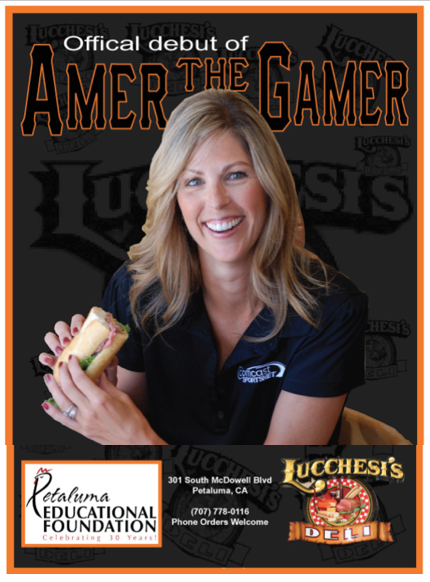 AMER the GAMER promotion at LUCCHESI DELI in Petaluma! Local alumna and current Petaluma school parent, Amy Guiterrez – also known as Amy G. – is an well known sports journalist and author of Smarty Marty’s Got Game. As the SF Giants in-game reporter on Comcast SportsNet Bay Area, Amy teamed up with Paul Lucchesi to create her very own two signature sandwiches. A portion of all proceeds from Amer the Gamer sandwiches and logo t-shirts go to support local education through PEF. A Grand-Slam for our students and an All-Star partnership in our community! 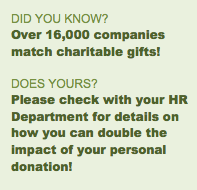 will match contributions from their employees to non-profit organizations. Please contact your Human Resources department and ask them if they offer a Matching Gift Program and if your donation to PEF is eligible. Our PEF Federal Tax ID# is 94-2847212. Shopping Reward Programs – eSCRIP, Amazon Smile, Melaleuca: PEF encourages you to sign up for these programs where your shopping through these online and in-store fundraising programs contributes a percentage of your grocery loyalty cards, credit card, and debit/ATM card purchases to our Foundation benefiting all local schools through the mission of PEF.